Today, I want to share with you what my officemates and I had last Friday. 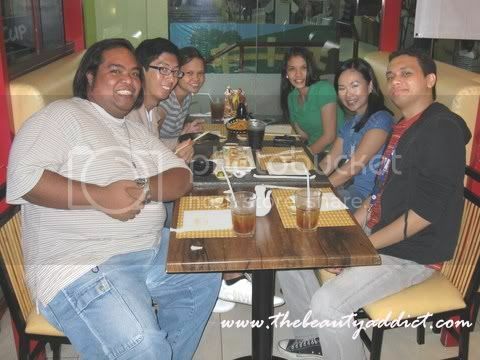 Rhea, our ex-officebuddy invited us for dinner and requested her nearest fav resto "Teriyaki Boy". 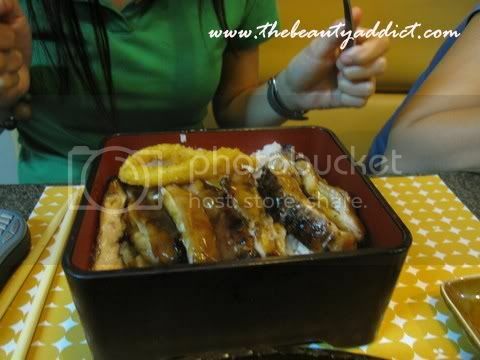 Teriyakiboy.com.ph - Combining the warmth of the east and the efficiency of the west, Teriyaki Boy is the first fast-casual Japanese dining restaurant in the Philippines. 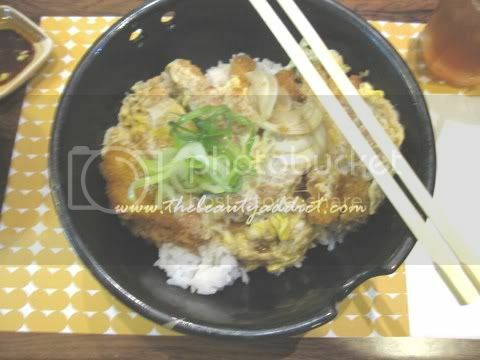 We take pride in serving traditional home-cooked Japanese meals at fast-food speed and reasonable prices. 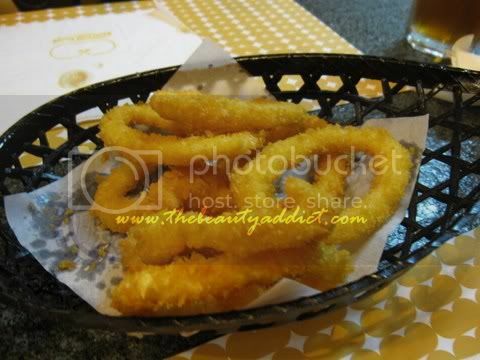 Ika Fry - fried squid rings. Best eaten with the sauce. 6 pcs - P260. 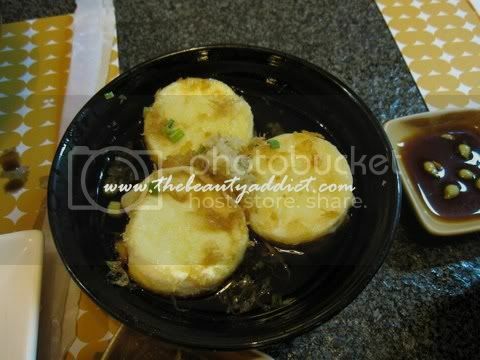 My fave of all Japanese dishes! Teriyaki Boy Chicken - grilled chicken, with sweet and savoury teriyaki sauce, topped on steamed Japanese rice. P195. - This is their best seller. IT solutions and delivery team - afternoon shifters =P. Someone commented about my eye bags that day so I guess I exaggerated my concealer a bit. Yaiyks, I can totally see it on this pic. Do you like Japanese food too? What's the best you've tried? Goodness, that Teriyaki Chicken looks so good! There aren't any Japanese restaurants around me unfortunately :(. Yum! i am super hungry now!!! its almost lunch time!!!! So yummy pix 'n stuff! 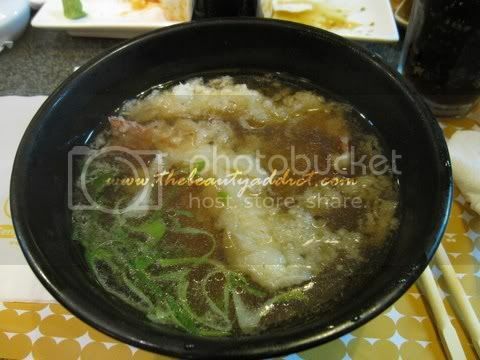 I want eat! 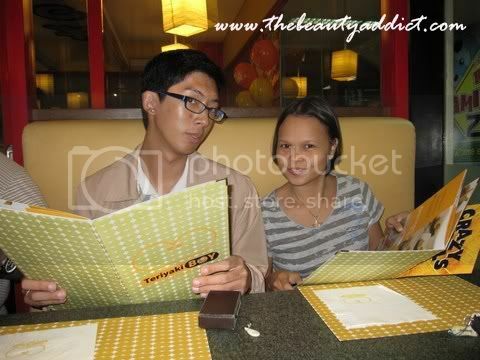 @teeyah...weeehh thanks! Naconscious ako that day coz someone told me I had bad eye bags. 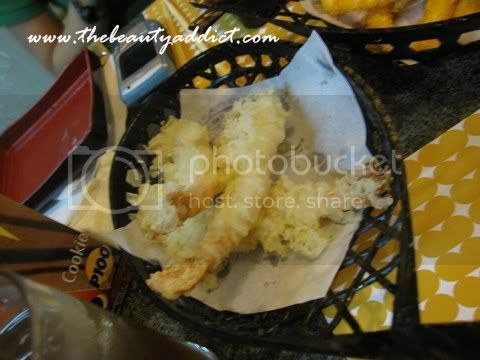 I ate at Teriyaki Boy with a couple of cousins of mine when I last visited PH and I must say I was pleasantly surprised. The food was soooo good -- especially for a "fast food" place. And your photos are making me hungrayy! @Beauty Savvy - Thanks for visiting my blog. 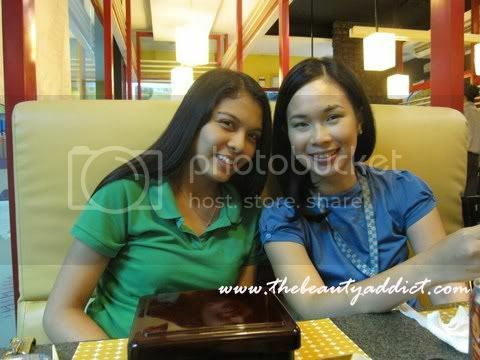 Another Filipina blogger yey :) Yup the food there is really good.